In August 1945 the USA used their “pretty terrific” new weapon, the atomic bomb, to force Japan to capitulate at last and to thus end the Pacific War. As we know today, the horrible attacks on Hiroshima and Nagasaki that cost hundreds of thousands of lives not just in the moment of the explosion but in many decades to come was rather a demonstration of power than a necessity to stop the fighting since Japanese troops couldn’t have prevented the American invasion much longer, anyways. For the twentieth anniversary of the bombs, starting in January 1965, the literary magazine Shinchō (新潮) published the novel Black Rain by Ibuse Masuji in instalments. This month fifty years ago, appeared the final part of the book surrounding Shigematsu Shizuma who five years after the Hiroshima bomb copies eye witness reports like his niece Yasuko’s and his own diary entries to keep memory alive for future generations. Ibuse Masuji (井伏鱒二) was born in the village of Kamo (today: part of Fukuyama City), Hiroshima Prefecture, Japan, in February 1898. In 1919 he moved to Tōkyo to study fiction at Waseda University, but he never graduated. Instead he turned to writing for small magazines like Seiki that had published one of his first short stories in 1923, i.e. The Confinement (幽閉, originally titled and later published as The Salamander [山椒魚]). Some of the prolific author’s extensive work have been translated into English, namely the short-story collections Salamander and Other Stories (夜ふけと梅の花: 1930), Lieutenant Lookeast and Other Stories (本日休診: 1950) and The Crazy Iris and Other Stories of the Atomic Aftermath (かきつばた: 1951), Waves: Two Short Novels (comprising Waves. A War Diary [さざなみ軍記: 1938] and Isle-on-the-Billows [侘助: 1946]), Castaways: Two Short Novels (comprising John Manjiro, A Castaway's Chronicle [ジョン万次郎漂流記: 1937] and A Geisha Remembers [お島の存念書: 1950]), and most importantly Black Rain (黒い雨: 1966). Ibuse Masuji died in Tōkyo, Japan, in July 1993. It’s spring 1950 and Shigematsu Shizuma, the protagonist of Black Rain, lives in the village of Kobatake over a hundred kilometres east of Hiroshima with his wife Shigeko and his niece Yasuko whom he would like to marry off. At the time of the atomic bomb attack of 6 August 1945 on Hiroshima they all lived in the city, but they were lucky not to have been anywhere near ground zero and to escape unharmed except Shigematsu who had a burnt cheek. On the morning of the bomb, Yasuko actually was outside Hiroshima altogether (even though she returned at once to see if her family was alright), but rumours say the contrary and have so far ruined all her marriage prospects making fear that she may develop strange signs of illness like so many other survivors and infect everybody dealing with her. Five years after the bomb, the public still knows very little about radiation and even less about its long-term effects, so everybody who was in Hiroshima is considered potentially sick and dangerous. To refute the false rumours about Yasuko, Shigematsu begins to copy passages from her diary and from his own dealing with the event and its immediate aftermaths. Thus he relives the hours, when they roamed devastated Hiroshima first in search of each other and then on their way to the cloth factory in the environs where he worked. The strange, kind of oily black rain that went down on Hiroshima shortly after the bomb explosion seems of little importance in their accounts because nobody knows about the dangers of nuclear fallout yet. Seeing how impressive their diary entries are, Shigematsu sets himself a new and more ambitious task: he wants to compile a comprehensive testimonial of the Hiroshima bomb attack for the village school library. The serialised prepublication of Black Rain in the renowned literary journal Shinchō (新潮) between January 1965 and September 1966 began under the rather ordinary title The Niece's Marriage (姪の結婚) that corresponds with Shigematsu’s motive for starting to copy relevant passages from Yasuko’s and his diaries of summer 1945. On the occasion of the then upcoming twentieth anniversary of the atomic bomb attacks in August, however, the editor suggested the new title referring to the nuclear fallout described in the book. Most of the novel is based on the diaries of real people that the author skilfully transformed and adapted for his narrative purposes without altering their essence, sometimes not even names. As a matter of fact, the story of Yasuko isn’t invented, either: Ibuse Masuji heard it from a friend. All things considered it’s therefore a documentary novel rather than fiction, a fact in line with the author’s opinion that nobody, certainly not one person alone, can credibly invent or just give account of the horrors of Hiroshima and Nagasaki in all their shocking details. Also the language used to tell the story of Hiroshima and the people who survived the bomb feels extremely authentic and makes the book the more convincing. As a book with the objective of keeping alive the memory of what the average survivor of Hiroshima experienced in August 1945 and the months that followed, Black Rain by Ibuse Masuji has been a very impressive and moving read. Despite the serious topic, I didn’t find it particularly difficult or heavy to read since the focus is less on historical, technical or scientific facts than on the human dimension of the man-made disaster. From the afterword to my German edition I also learnt that the author set the story in June 1950 because it was when the Korean War began thus making it an anti-war or at least an anti-nuclear-weapons novel. In other words: everybody should read this! 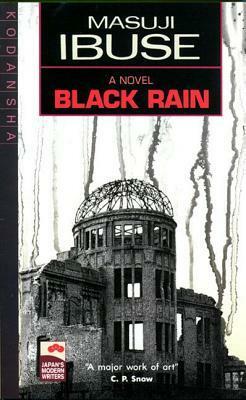 In fact, Black Rain invites further research, but unfortunately I didn't have time for it. Really? Ibuse Masuji translated the Doctor Dolittle stories? I had no idea! Well, it doesn't help me anyways because I don't speak Japanese. Maybe knowing the name inspires some to read also his own books... the one I reviewed definitely deserves it. Thanks for your comment... and for recommending Underground by Murakami Haruki. As a matter, of fact, I haven't read it yet. I should read this! I have read John Hersey's Hiroshima but this is by a Japanese author. Thanks again for introducing me to another book I might not have come across. You are a real resource for me. My pleasure! 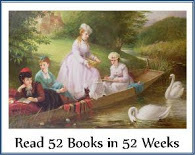 That's the point of writing this blog: drawing attention to books that are overlooked or forgotten at least sometimes. Yes, when such a book is written by a Japanese author - although he wasn't in Hiroshima at the time - it makes the account feel a lot more authentic and less focused on the mere facts. Thanks for your comment, Judy!